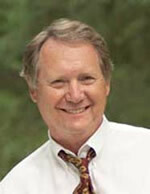 Kirk is a lawyer and real estate broker with over 45 years’ experience. He graduated from the University of Alaska and Yale Law School, and he also has a master’s degree from the University of Colorado. He is former Chair of the Alaska Real Estate Commission. He served as a Regent of the University of Alaska and is a member of the $330,000,000 U of A Foundation Investment Committee. He is a former member of the Executive Committee of the Yale Law School Association. Kirk is a member of the Alaska Bar Association, and served on the Executive Committee of the Real Estate Law Section for many of years. He is a member of The Alaska Association of Realtors, Commonwealth North, Rotary and other civic and professional organizations. He is a former member of the U of A Foundation Board of Trustees and the Alaska Commission on Postsecondary Education. In 1995, Alaska attorney and real estate broker Kirk Wickersham created a complete, integrated home-selling technology called FSBO System. Since then we’ve helped thousands of clients sell their home on their own and save the entire 6% agent commission. Every year, through good markets and bad, our average client has outperformed the average local agent listing in terms of days on market and chance of success. In 2015 our average client made an extra $16,092 compared to paying a six percent agent commission. See our Client Statistics.